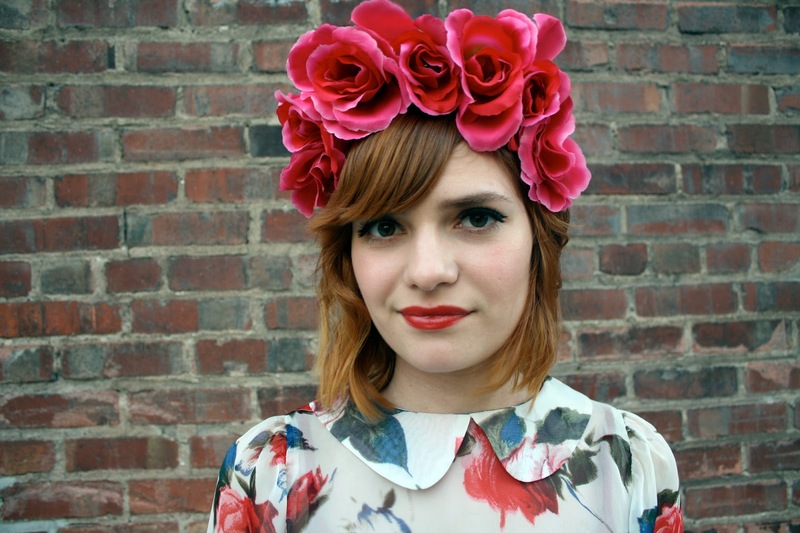 i am in LOVE with your blouse and floral crown. so so so darling. and a spring themed party?! sounds like a blast. You are channelling my hero - Frida Khalo! Just gorgeous! Love with this whole look!! loving the floral shirt - it looks so comfy and classic! This is easily one of my most favorite outfits you've ever posted. I think the colors go so well here! i *love* this look! your flower crown is amazing. that shirt and headband are so pretty together! I love love love that shirt, so appropriate for spring! I really love that floral top! Everything about this outfit screams fun in the sun. So deliciously LDR. I love it! The flower tiara is gorgeous and look surprisingly natural. Tagged you for an award on my blog. That blouse is a dream! This outfit is awesome! 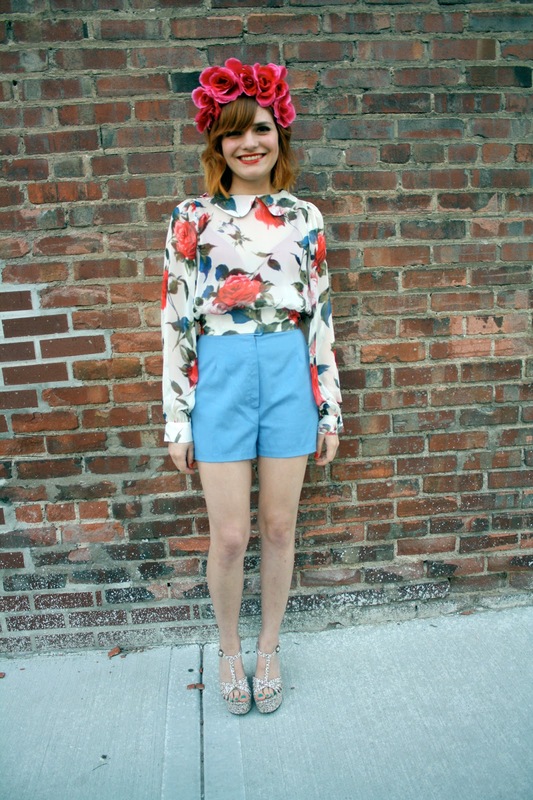 I'm in love with your giant floral crown and those shorts look great on you. Such a pretty blouse too. Basically everything is perfect and I want to wear this.